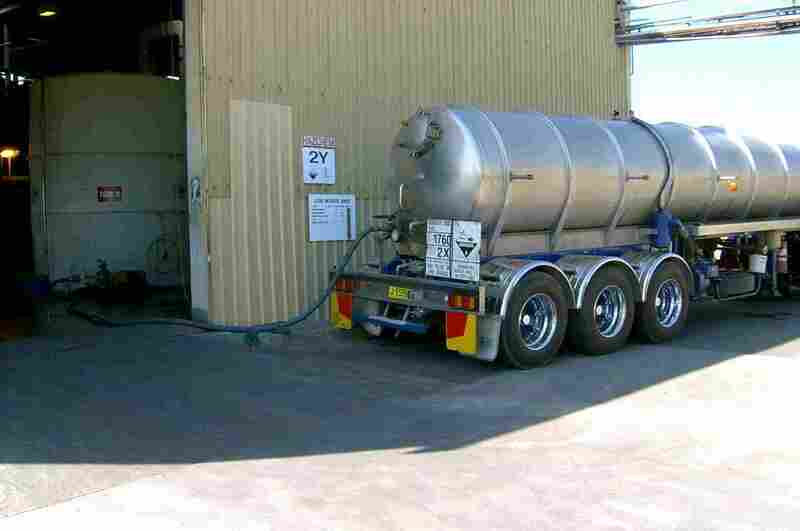 Tanker undergoing a vacuum loading process. Within our Chemical Fleet of tankers, vacuum pumps have been fitted. This allows us to, under vacuum, extract material from various situations. The major advantage of this is “no spills”. Abrasive matter can be pumped and total evacuations of pipe work and tanks can occur, there is no priming of pumps. Similar to a household vacuum cleaner, these units can handle bulk chemicals, which have to be moved and extracted from numerous applications.